Material: 50% Polyester+40% Cotton+10%Lycra. 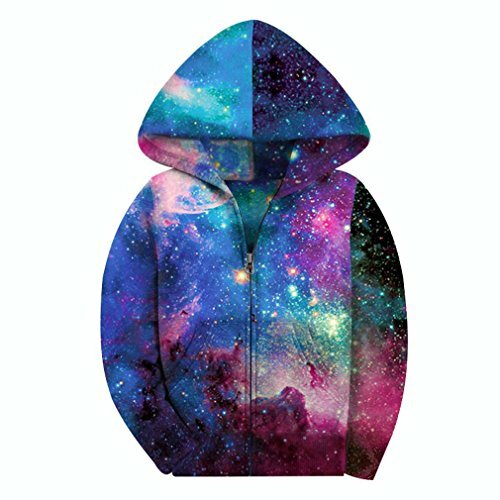 Hand and machine wash.
Design: All over unique galaxy print.Fleece,warm hoodies.Fantastic gift for Birthday, Holiday,Christmas. Style: Casual, costume, sports, fashion, celebration, holiday and outdoors. Size: US size, great for both big girls and big boys 6-16Y. If you have any questions about this product by SAYM, contact us by completing and submitting the form below. If you are looking for a specif part number, please include it with your message.